We spoke to the fashion designers behind some of today’s trendiest Australian labels to find out what gets their sewing machines spinning. Not surprisingly, travel is the common thread, with new experiences and beautiful locations providing inspiration for the brains behind TALULAH, Jac+ Jack, Backstage, Bailey Nelson and MINKPINK. Looking for design inspiration? Check out this list of fashionable hotels in their favourite cities. One of Australia’s most beloved fashion and lifestyle labels, TALULAH’s beautifully crafted garments are elegantly confident. Toni’s enthusiasm for soaking up the atmosphere in foreign cities inspire her unique reinventions of classic cuts. Urban inspiration: From the passionate locals to the historical buildings, there’s no better source of inspiration for Toni than the Eternal City, Rome. Hotel dei Mellini, Rome, Italy: Just minutes away from the awe-inspiring Villa Borghese and Castel Sant’Angelo, the hotel’s 80 elegantly appointed rooms and suites are home to an impressive collection of modern works of Italian and Roman art. 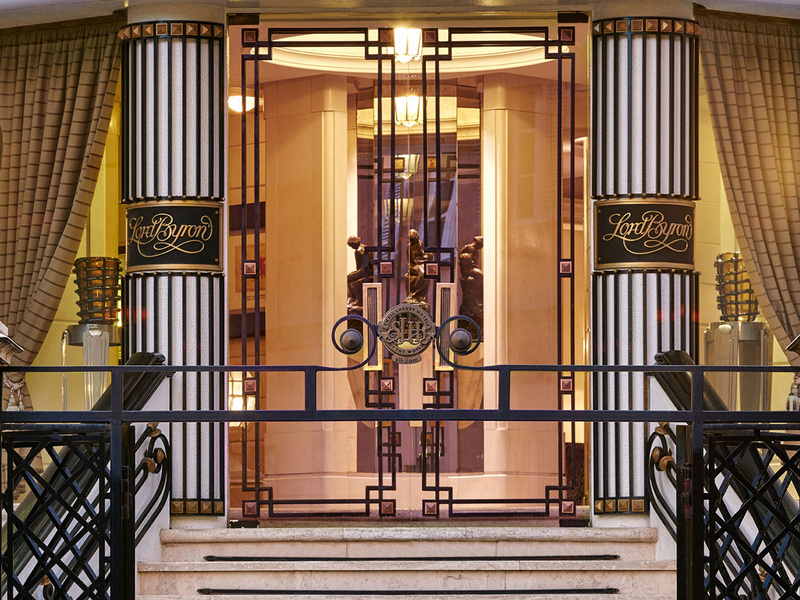 Hotel Lord Byron, Rome, Italy: For a 5-star experience, looks no further than the Hotel Lord Byron. With just 32 rooms and suites, there’s extra attention to detail. Think marble, mahogany and rosewood. It’s hard not to feel inspired while enjoying panoramic views of the surrounding romantic villas and scenic parklands. Hotel Art, Rome, Italy: Before checking out Rome’s exciting nightlife, check in to 4-star Hotel Art located in the heart of Rome. Set on a street lined with antiquarian shops, this hotel has 46 spacious rooms dedicated to the comfort and luxury of its guests. The hotel’s most prominent feature is the high-vaulted lobby that overlooks a marble altar and stained glass windows, a remnant of its former life as a chapel. What started off as a small knitwear business with a focus on luxury yarns, Jac+ Jack has woven its way into contemporary wardrobes of men and women across Australia and London. When she’s not expanding her business, Jacqueline finds the best way to get inspired is finding a beautiful place to sit, taking in the sights and sounds of somewhere new. Urban inspiration: An avid world traveller, two of Jacqueline’s favourite spots to reflect are the UK and India. 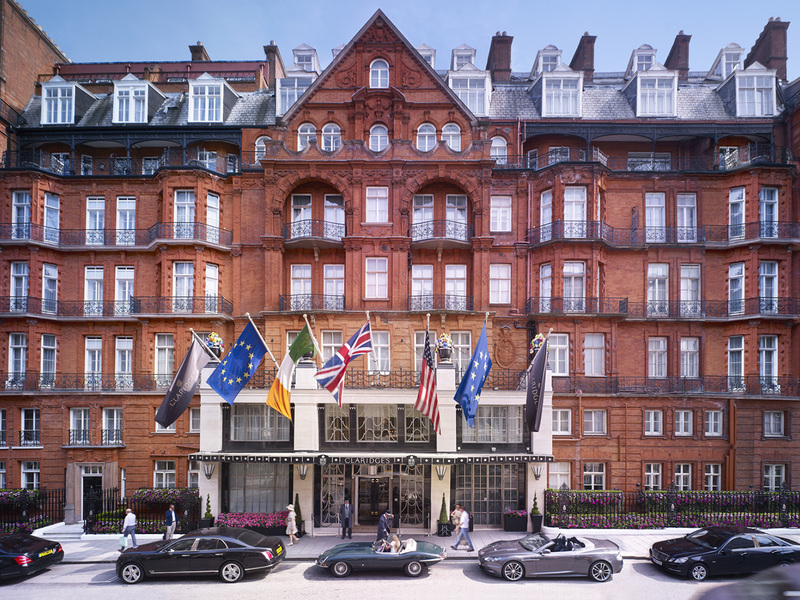 Claridge’s, Mayfair, London: Claridges is Mayfair’s embodiment of grand English style and timeless elegance. Beautiful rooms and spacious suites designed in decadent art déco are paired with world-renowned service and exquisite cuisine. As luxurious as her fashion line, it’s no wonder Jacqueline enjoys checking in here whenever she’s in town. The Lalit Traveller, Jaipur, India: A country that holds a special place in Jacqueline’s heart, experience the beautiful culture of Rajasthan at The Lalit Traveller Hotel. Although understated in comparison to the Lalit’s line-up of 5-star hotels, the 37 rooms feature vibrant colours and décor that reflect India’s vibrancy. Backstage is an Australian-made clothing label inspired by a love of art, film and music. Sleek lines, bold prints and textured fabrics are combined to cloak the modern-day woman in elegance and sensuality. Experiencing how people live, relax and play in other countries provides Tony with inspiration for his designs. 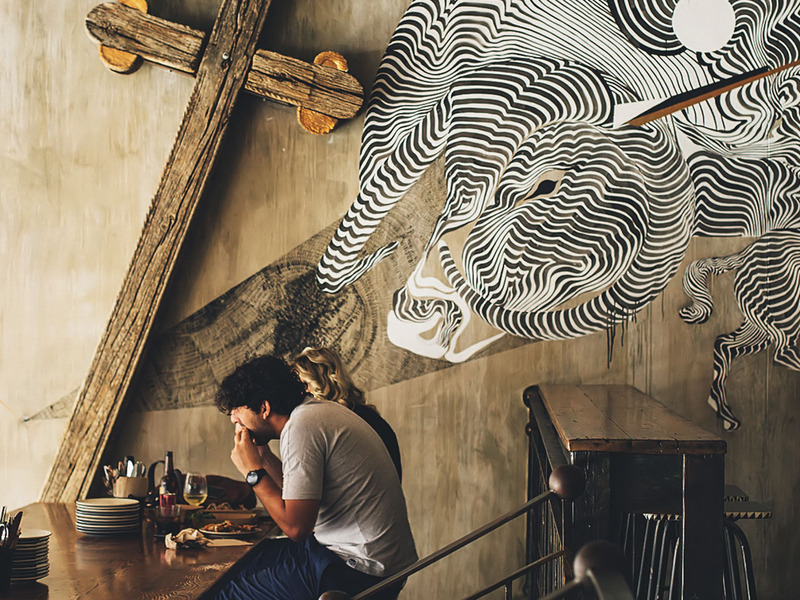 Urban inspiration: Avid traveller Tony has seen a good part of the world, with the diverse cities (and the people who inhabit them) of the USA being some of his favourites. Mondrian Hotel, Los Angeles, USA: Centrally located right on Sunset Boulevard, the Mondrian is right in the heart of all the action. Recently rejuvenated in 2008 by renowned designer Benjamin Noriega-Ortiz, Mondrian LA is a luxury boutique hotel that perfectly sums up the thrill of Hollywood. With a bold interior and extravagant rooms fitted out with glamourous custom-designed furniture, it’s no surprise the hotel is a hotspot for celebrity designers and Hollywood stars. 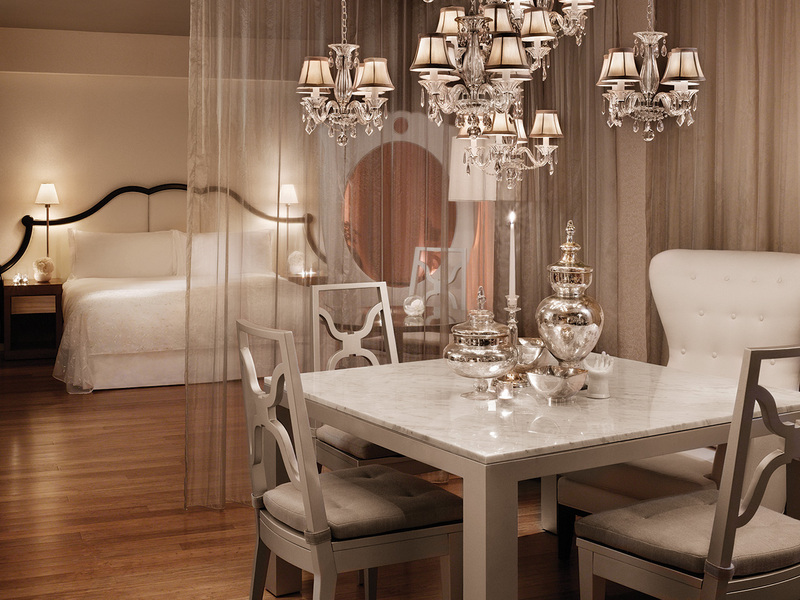 SLS Hotel, Beverly Hills, USA: Each of the 297 rooms and suites of the SLS Hotel is designed by renowned interior designer, Philippe Starck. Set in the middle of Beverly Hills and Los Angeles, this ultra-modern yet classically elegant hotel suits Tony’s design aesthetic. With a fine balance of warm and neutral tones, each room is accentuated with bold chrome and gold furnishings. Head up to the hotel’s award-worthy restaurant and rooftop pool overlooking the City of Angels to see the city’s lights twinkle below. The vision at Bailey Nelson is focused on changing the perceptions of the glasses industry. To make this vision a reality, Ryan broadens his perspective by travelling around on foot or by public transport, absorbing as much of a foreign culture as possible. Urban inspiration: There is ample inspiration to be found on the lively streets of New York and London, where something unexpected is always around the corner. Grange St. Paul’s Hotel, London, England: Located beside iconic St. Paul’s Cathedral in London’s business district, the 5-star Grange St. Paul’s Hotel is a spectacle to behold. Past the well-groomed doorman, look straight up at the hotel’s impressive 80-foot tall glass Atrium rising through its centre. With 433 luxurious guest bedrooms and suites, bars with skyline views and Benihana, a world-famous Japanese teppanyaki restaurant, it sure is an eye-opening experience. Eventi Hotel, New York, USA: The perfect place to relax and unwind after taking in the dazzling lights of Times Square, the hotel offers contemporary rooms and suites fitted with exquisite furnishings and all the mod cons. A public showcase of art and entertainment is constantly alive and thriving at Eventi’s plaza, a treat for the artisan soul and a feast for the eyes. If you’re a fan of wild, playful and irreverent design, then Jodie’s designs at MINKPINK are your match. Already in the wardrobes of Aussie IT girls, MINKPINK keeps in touch with fans on social media. With a strong following online and instore, Jodie’s influential designs and style can be credited to her love for travel. Urban inspiration: People watching, exploring vintage stalls and experiencing new surroundings in London are what gets the wheels in her head turning. 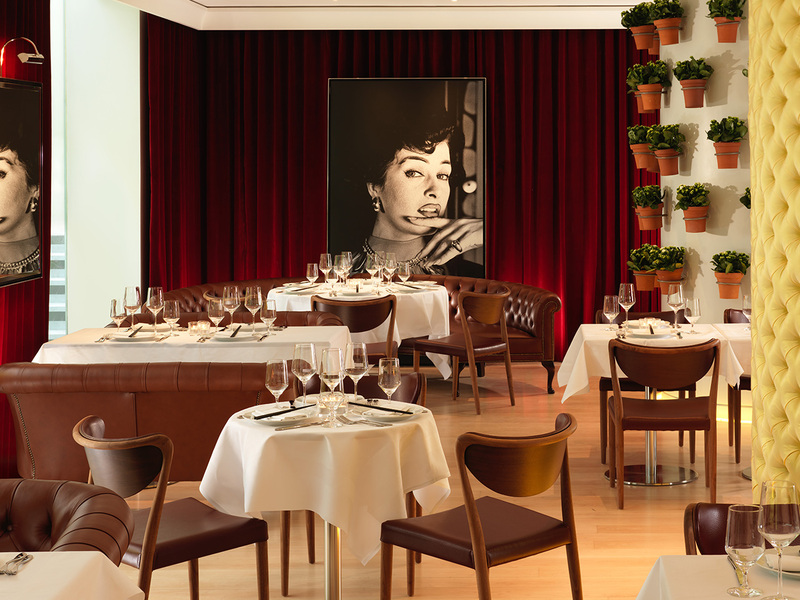 Cheval Three Quays, London, England: A chic five-star stay for fashionistas, the award-winning Cheval Three Quays is the perfect escape from the bustling heart of London. The contemporary one, two or three-bedroom apartments overlook the expansive River Thames, the Tower of London and the Tower Bridge. St. Martins Lane, London, England: For something a little more eccentric, check in to St. Martins Lane. This boutique hotel in Covent Garden, London’s bustling theatre district, combines contemporary design with luxury living to give life to a dramatic and daring urban escape. Playing with bright colours, unusual proportions and striking design, the hotel’s rooms and suites are designed to energise and inspire the guests.